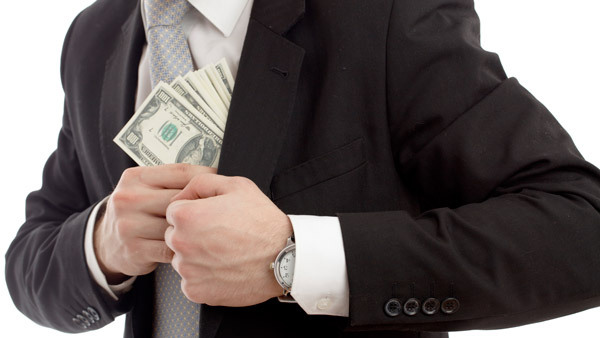 An Avenir broker used $77,000 of investor money for personal expenses, FINRA said. The Financial Industry Regulatory Authority said Monday it had issued a temporary cease and desist order against Avenir Financial Group to halt fraudulent sales of equity interests and promissory notes in the firm to elderly clients. Avenir Financial Group; its CEO, Michael Clements; and registered rep Karim Ibrahim (aka Chris Allen) consented to an order halting further fraudulent sales of equity interests in the firm and promissory notes pending a hearing on fraud charges relating to the same offerings. FINRA states that Avenir, a New York-based full-service broker-dealer, and its branch offices raised more than $730,000 in 16 issuances of equity or promissory notes. Most of those sales, which occurred from October 2013 to present, were to the firm’s elderly customers. FINRA also permanently barred registered rep Cesar Rodriguez from the securities industry for fraud and for improperly using $77,000 of investor funds for personal expenses in a related offering. In its related underlying complaint, FINRA charges that Avenir, Clements and Ibrahim committed fraud in the sale of equity or promissory notes of the firm, and that Clements aided and abetted the fraud. FINRA specifically alleges that in November 2013, Avenir and Ibrahim defrauded a 92-year-old investor by failing to disclose that Avenir was in dire financial condition at the time they sold a 5% equity interest in the firm to him for $250,000. FINRA alleges Ibrahim was aware of the firm’s financial difficulties because his unfunded margin trading on behalf of another customer led to a $196,000 margin call and a request by Clements for all Avenir representatives to raise money. FINRA further charges that Clements “aided and abetted that fraud by instructing Ibrahim regarding the sale price and also on how he should characterize the offering.” In the complaint, FINRA charges that in connection with that same sale, Avenir and Clements defrauded the same elderly investor by providing him with a misleading purchase agreement offering a 5% interest in the firm for $250,000. FINRA alleges that the document was misleading because it omitted material information that a few weeks earlier, Avenir offered ownership to other investors at materially different terms; other investors paid significantly lower prices for their ownership interest and there was no basis for the changes in price. “Avenir continues to face financial challenges and continues to attempt to raise revenue through equity offerings,” FINRA states. In addition, FINRA alleges that Avenir, through Rodriguez, defrauded six investors, many of whom are elderly, in an Avenir branch office Rodriguez owned. In its complaint, FINRA charges that Avenir, through Rodriguez, misrepresented that $173,800 in proceeds from purchases of equity or promissory notes would be used for general operating expenses and instead, Rodriguez improperly used $77,000 of the proceeds for personal expenses, including jewelry, shoes and toys. FINRA alleges that Clements aided and abetted this fraud because he advised Rodriguez that personal use of investor funds was acceptable.